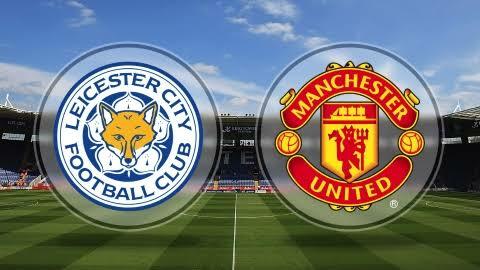 Christian Rowland Reporting live for ODOGWU MEDIA....Jose Mourinho’s side travel to Leicester City on Saturday looking to at least reduce the gap by rivals Manchester City at the top of the Premier League table. Manchester City, have dropped just two points this season after 18 matches and sit 11 points clear of their city rivals going into this round of games. Leicester are 8th on the table going into the game and are beaten only by the two Manchester clubs in terms of points won over the last six games. Manager Claude Puel fielded weakened team against Manchester City in the Carabao Cup on Tuesday but will revert to his strongest XI on Saturday. While Jamie Vardy will replace Kelechi Iheanacho in the attack, goalkeeper, Kasper Schmeichel will return to goal in place of Ben Hamer. Potential starting XI: Schmeichel, Simpson, Morgan, Maguire, Chilwell, Ndidi, Iborra, Mahrez, Gray, Albrighton, Vardy. For Manchester United, midfielder Paul Pogba returned to the squad against Bristol City in the midweek having served a three-match ban and will start again on Saturday. Also, Romelu Lukaku will replace Zlatan Ibrahimovic as the focal point in attack, despite the 36-year-old scoring in the Carabao Cup. Potential starting XI: De Gea; Valencia, Smalling, Jones, Young; Matic, Pogba; Mata, Lingard, Rashford; Lukaku. The game on Saturday will be the final game for both clubs before Christmas Day.